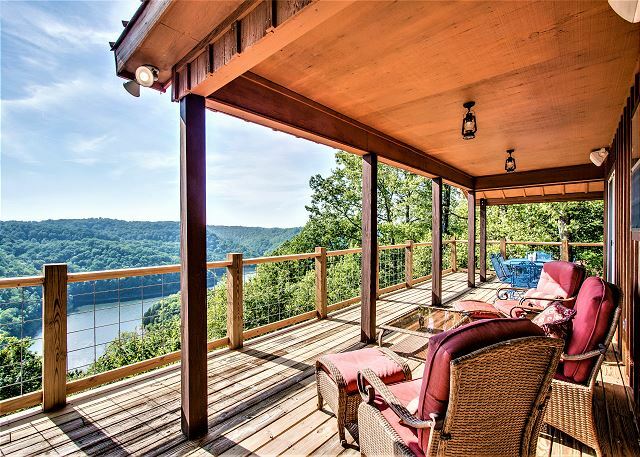 Lake View Mountain Sunset is a great choice for any group. 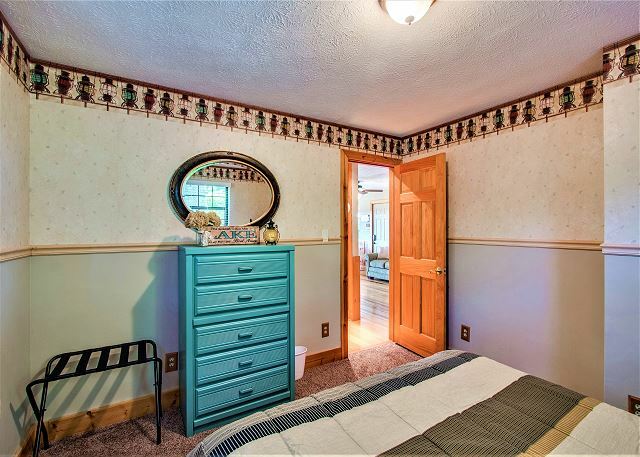 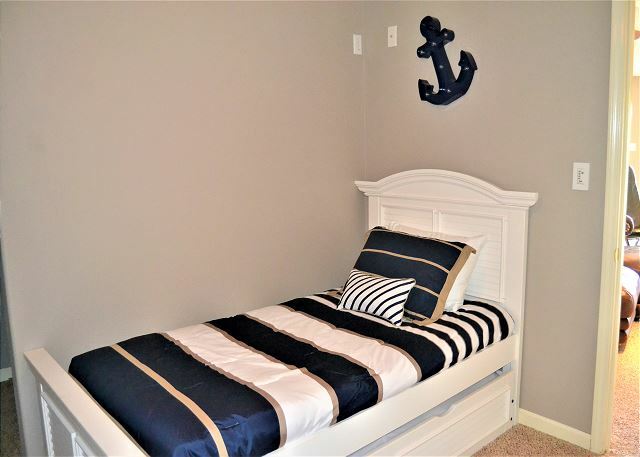 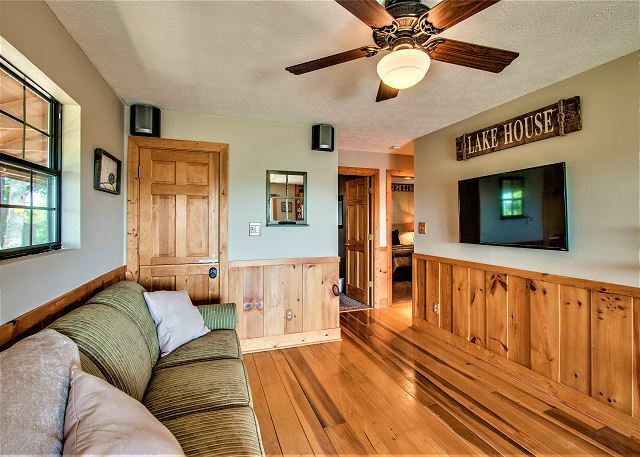 It is decorated to give you the perfect feeling of being at the lake. 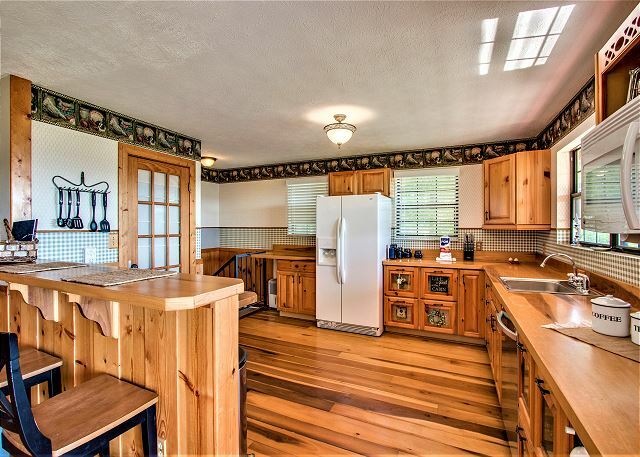 Nice bright open floor plan. 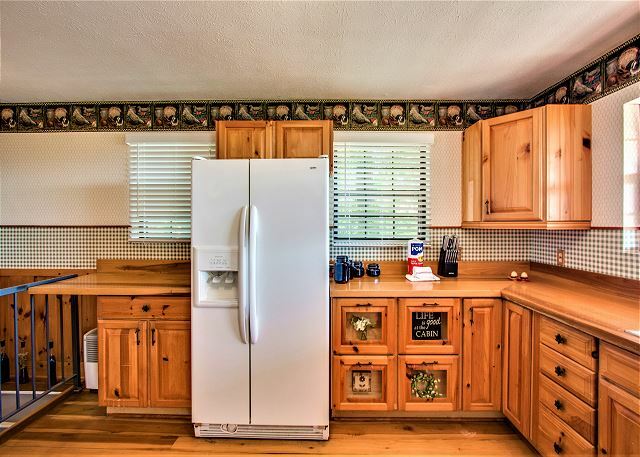 The kitchen is fully stocked to ensure you have everything you need to prepare your favorite meals. 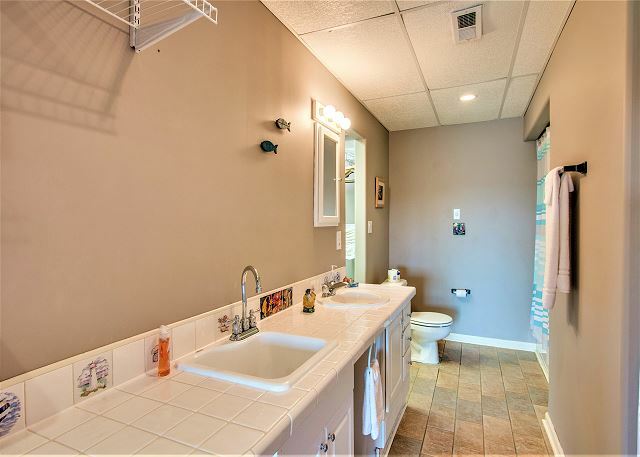 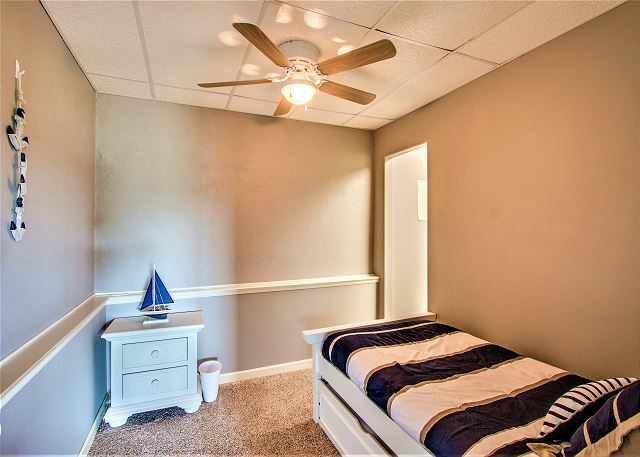 There are 3 bedrooms, to help spread out for your comfort. 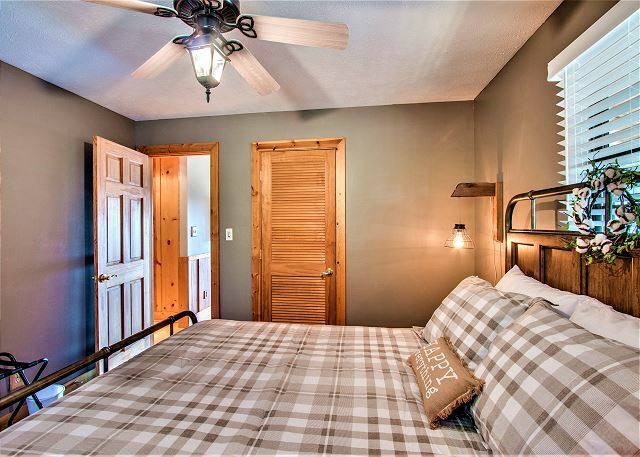 The two main floor bedrooms have a queen bed in each room. 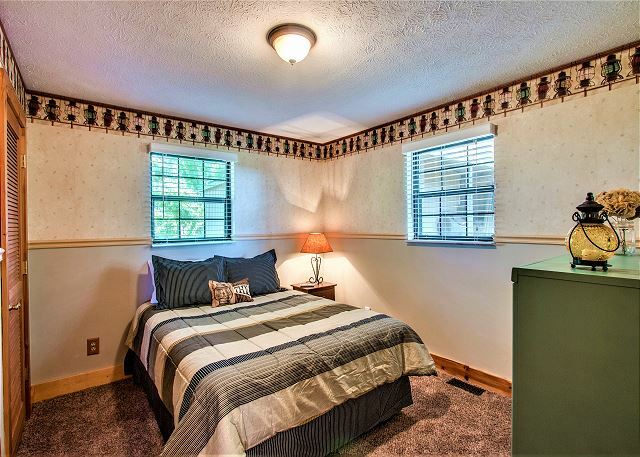 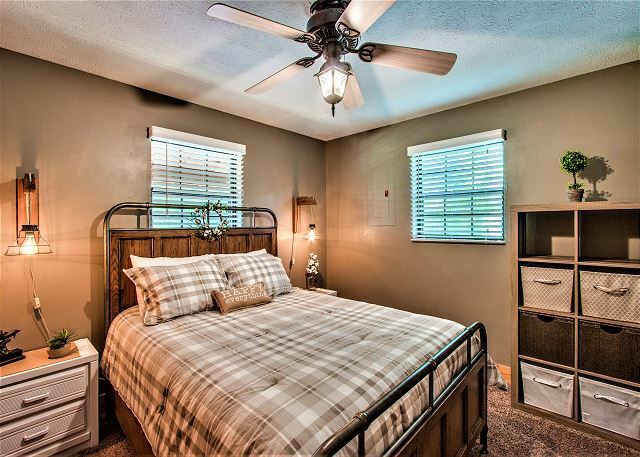 Bedroom number 3 has a twin bed with a trundle. 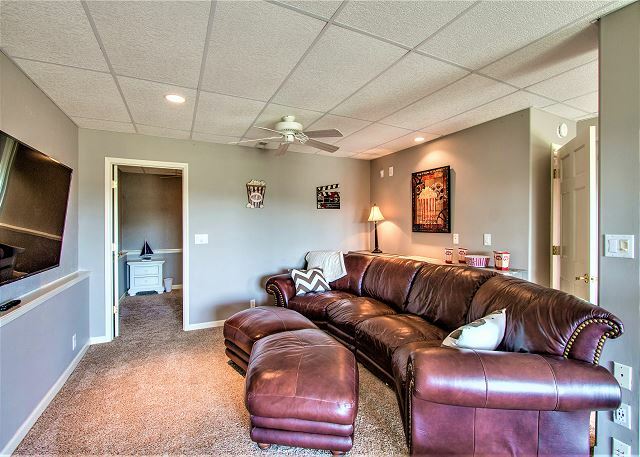 On the main floor living area the sofa extends into a comfortable queen pull out. 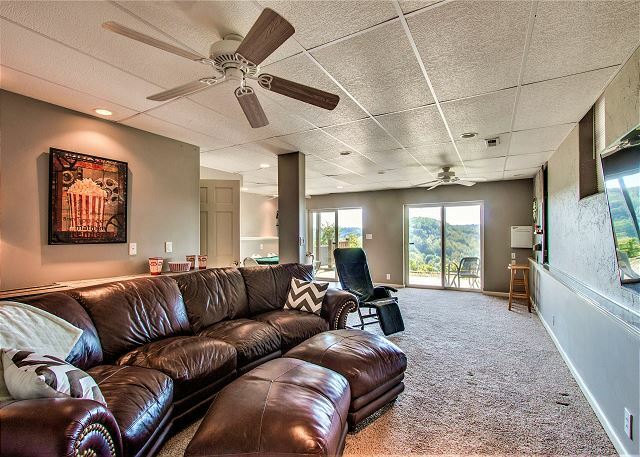 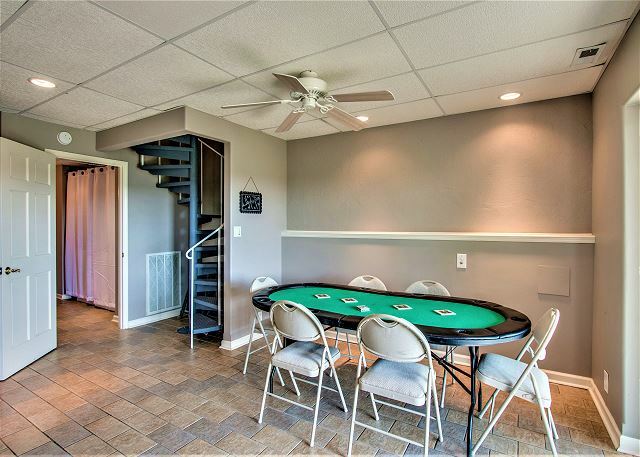 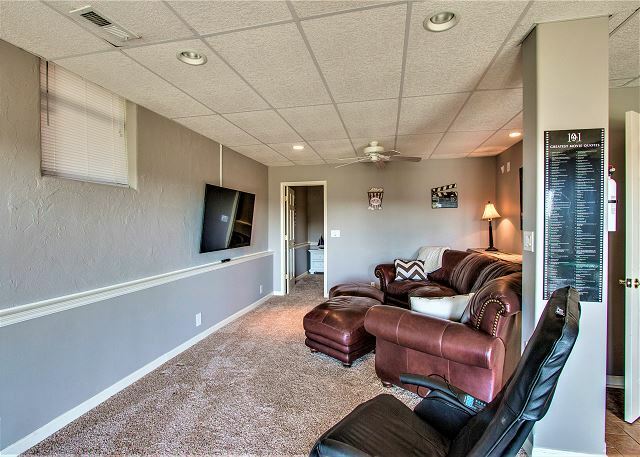 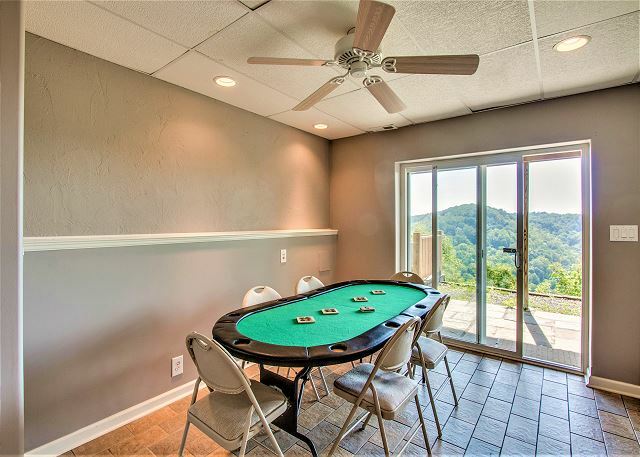 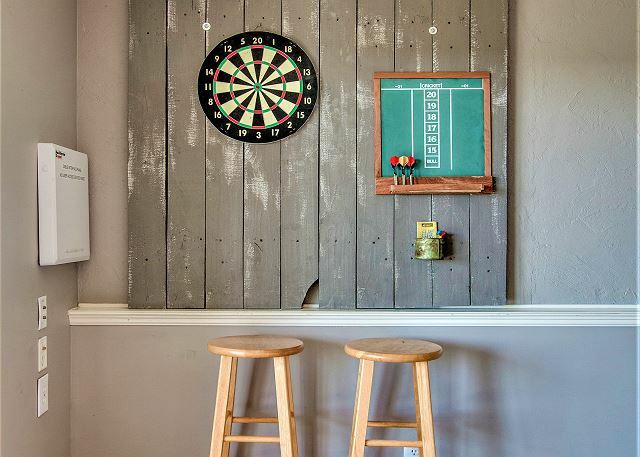 The downstairs family game room has a luxurious theater style sofa, a micro frig, a dart board, a full array of board games for all ages, and an awesome stereo system for your total package. 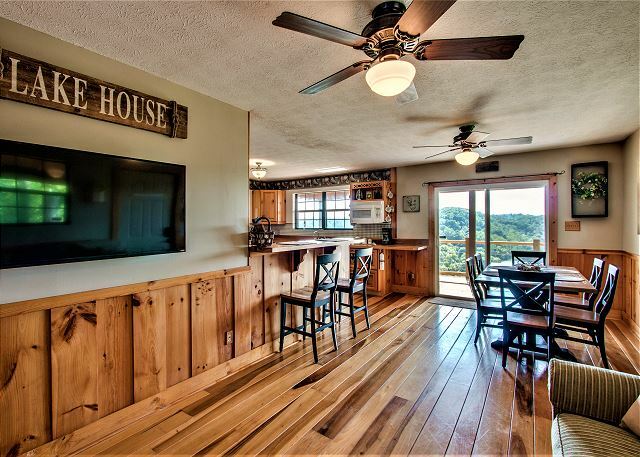 There is cable, wi-fi, and DVD players for you to bring your favorite movies. 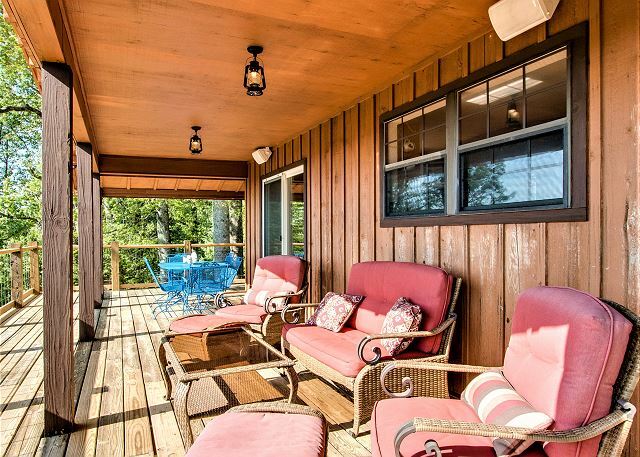 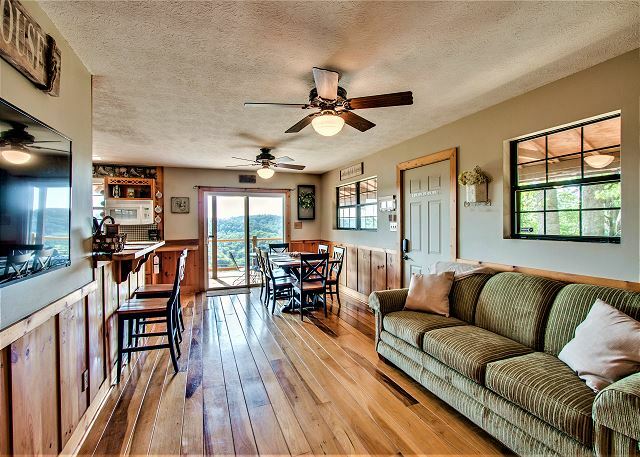 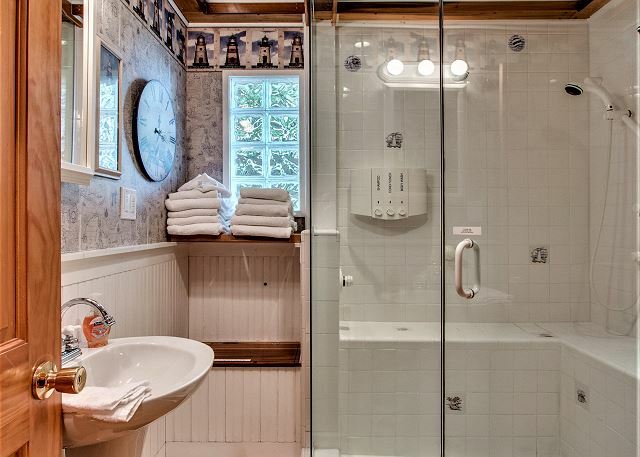 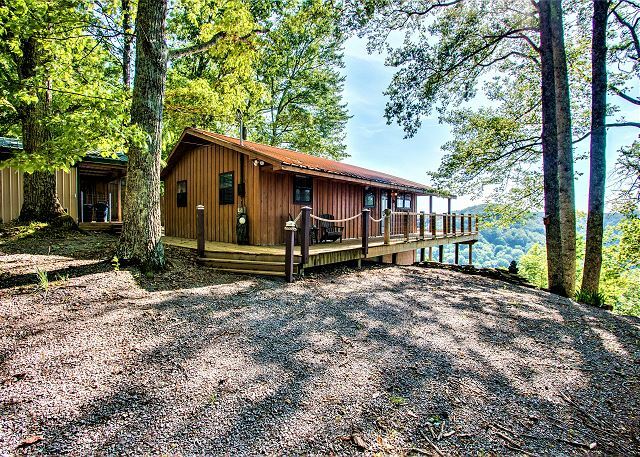 If you love the great outdoors, you will fall in love with this lake home. 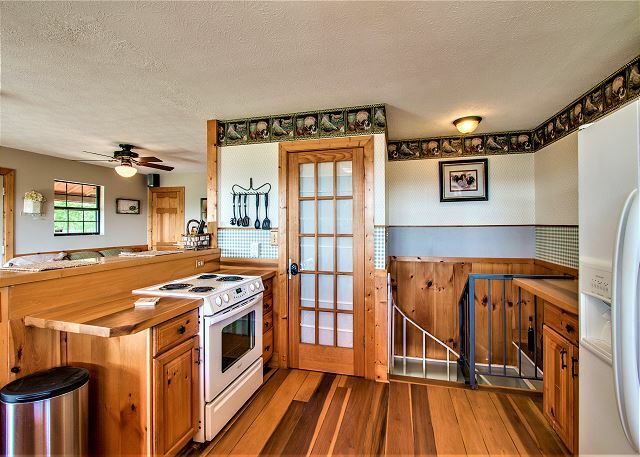 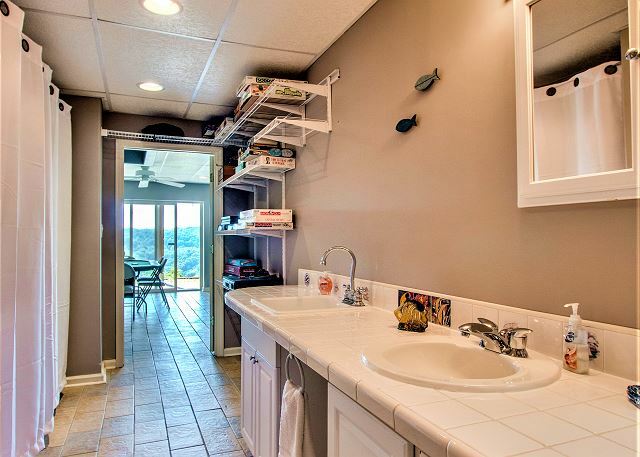 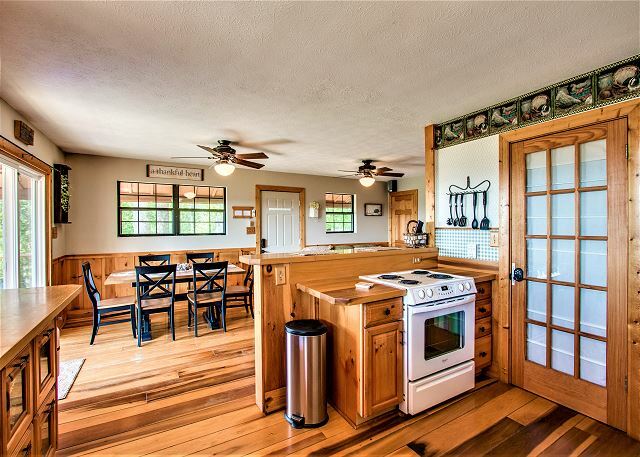 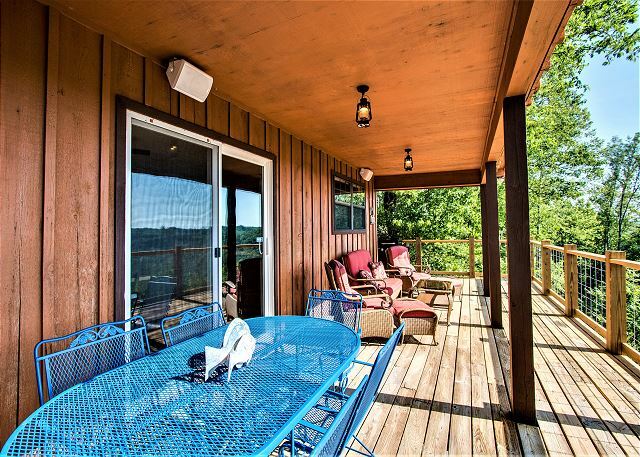 There is a beautiful deck off the kitchen and dining area. 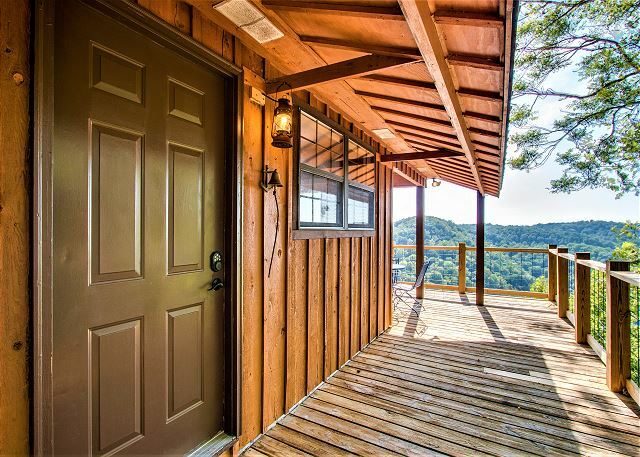 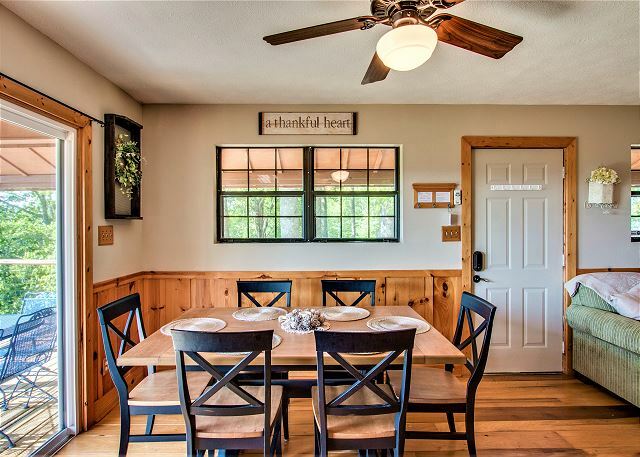 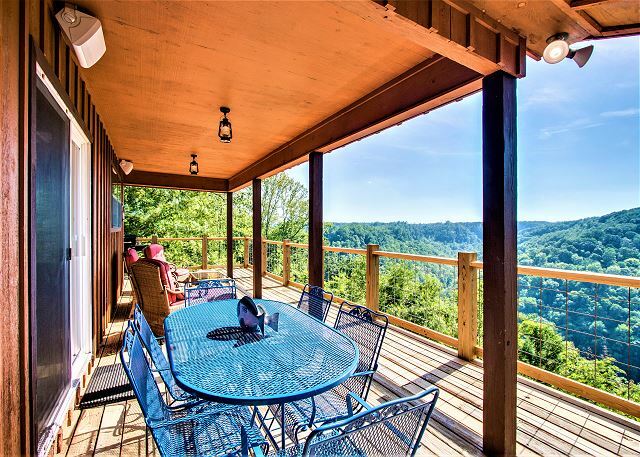 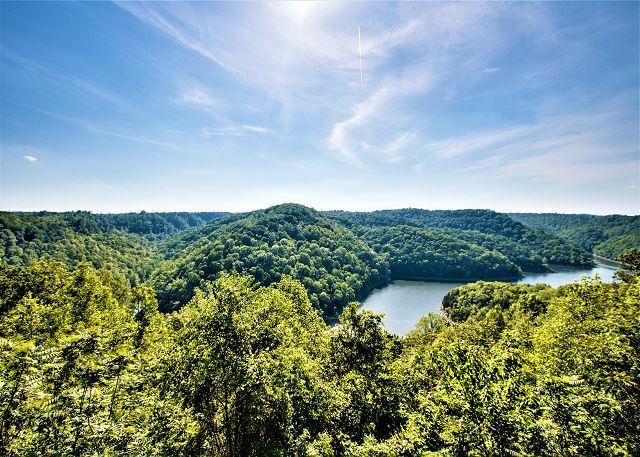 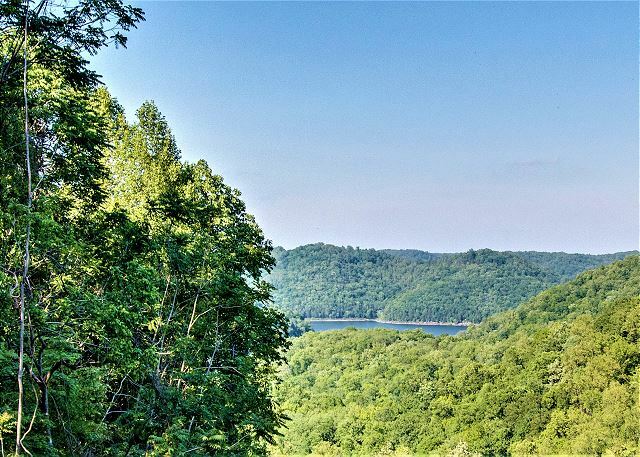 You will find yourself sitting on the deck looking at the beautiful view of Big Hurricane Creek, or enjoying a good book sitting in the front of the house with the beautiful view of Center Hill Lake The property is fenced in and has ample parking. 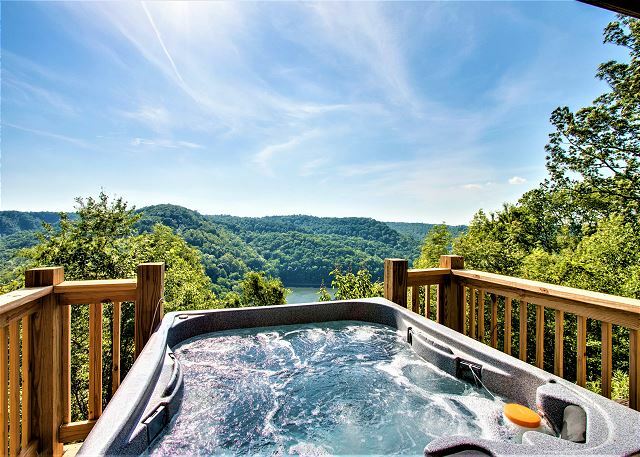 There is a nice private hot tub that sits on a platform overlooking the amazing view of the mountainside and Hurricane Creek. 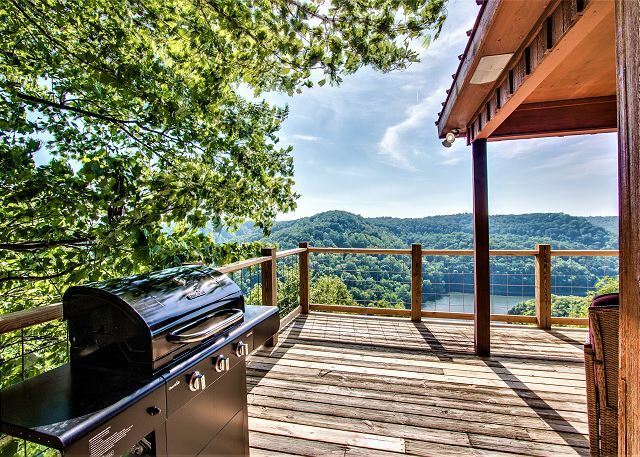 The final touch is the awesome fire pit that is sure to be the center of many hours of social time, laughter, and relaxation. 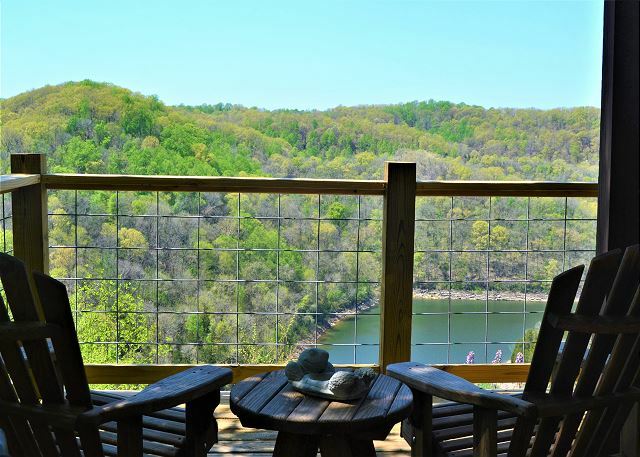 For those who like to take nature walks there are great hiking trails close by Lake View Sunset. 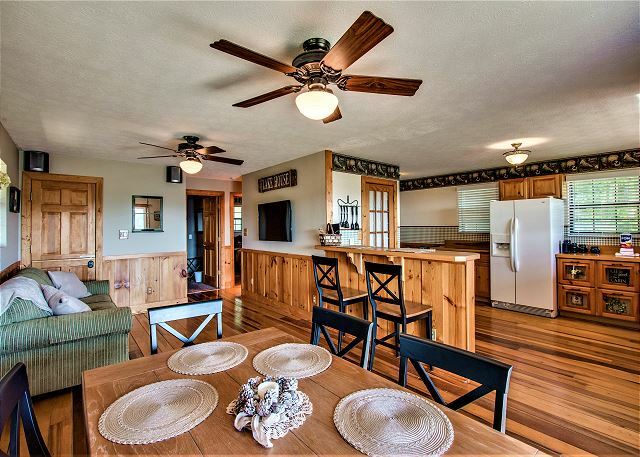 Your time at Lake View Sunset will be remembered for a lifetime, and will have you planning your next visit.